I am half-way through the book I started this week. The Kite Runner. By Khaled Hosseini. The book is a touching narrative of an Afghan boy, and his joys and fears as a child in the pre-taliban Kabul. His wonderful emotional bonding with his friend, Hassan, begins to strain at the weight of the boy's guilty actions. To tell you all a little more, would perhaps make this a spoiler. So, I'll stop there. But with each page I turn, I couldn't but help go down memory lane. To the time when I was growing up. When I was between my 10th and 14th year. In Hyderabad. In India. In the months of January. When flying kites seemed a great art. And a great skill. I still remember a certain boy, Subash, who was known as the greatest kite slayer in our neighbourhood in Ramnagar. My kite had to bite dust many-a-time to his. 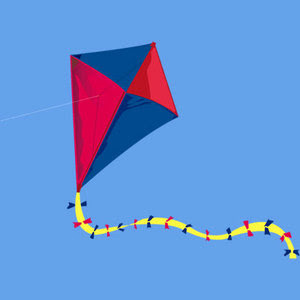 There were legendary stories about how he acquired the maanjaa, the string that cut my kite's string. His family made it, by mixing finely-grounded glass with some special plant's leaf called kalamadaa-aaku...and some other herbs, and some choice colours...and after mixing it into a special paste, it is then applied to the strings and made to dry... .. It was normal in those days to walk in some streets where you will see....strings dyed in various colours...pasted with ladi left to dry...strung to nails on walls. The dried string becomes so tough, so sharp, and so strong that when one's kite's string is battling with other's, it could neatly rip the other's string. Often, the kite flyer's expertise and thereby, his reputation depended on the design, type and size of the kites he flew, apart from the strength of the maanjaa. We had a name for almost every design - wonder if people of my age still remember doppan, gilloraa, langot, naamam, naaman-langot, gillora doppan and host of other such names. The threaded-edge kites were called dhaagey daar. Size also mattered - Ek Pound, Do pound. You cannot forget the wonderful whirling of the spool of string in your partner's hands as you let go the string when your kite is soaring high into the sky; the joyous feeling of a tug of weight on your thumb and forefinger; the palpable tension when you decide to dip your kite toward's your opponent's kite, to fight him.....the troubled momements when you are deciding whether to let go more string (deeel) or pull it back in rapid wave of arms (keench).....and the ecstatic moment when your opponent's kite is finally cut.....and the ear-shattering cries of 'saaaaaaaaf' from your friends, when your opponent's kite - cut loose from the taunt string - begins to float away in short jerks and dips. And the kite runners, running ater the slain kite, sometimes with poles attached with throny bushes, going after it to capture the kite floating down. Then, the group of kids fighting for it. To come under it. To catch it. And then one would finally own it..and walk away beaming with awesome pride that only......yes.. ...only a kite runner would understand. I still remember a time when I (known for my timid and soft nature), was unable to contain myself and brutally bashed up another kid. He had jumped on me and tore off the kite in jealous desperation, after I had run and caught the kite painstakingly. I was claiming it over several other kids. The others watched our fight and no one came to his rescue. Because they all knew it was rightfully mine. In fact there were cheers when I knocked him down. My friends who knew I would rather run away frightened than to every fight a bulky kid at anytime where absolutely shocked. They were amazed at my new and sudden burst of courage and strength!! Such is the impact of Kite Flying! I had bruises. They were painful. But they were also trophies in leiu of the kite I lost. And, they were also scars from a worthy battle! Oh.... the joy, the pleasure, the power of Kite Flying!